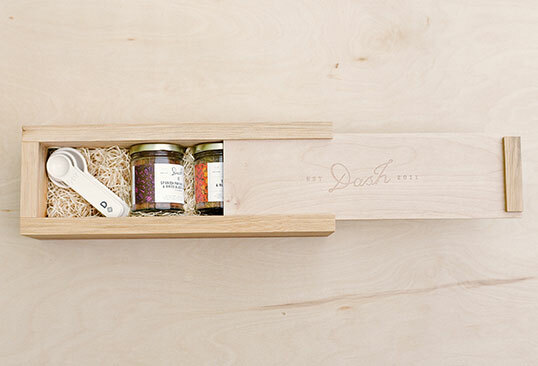 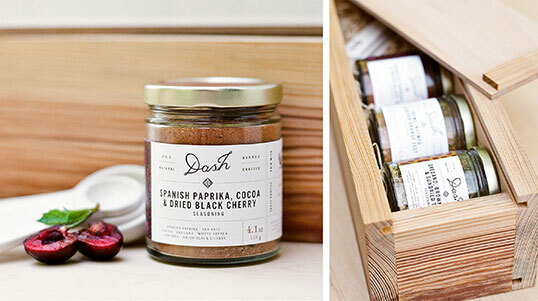 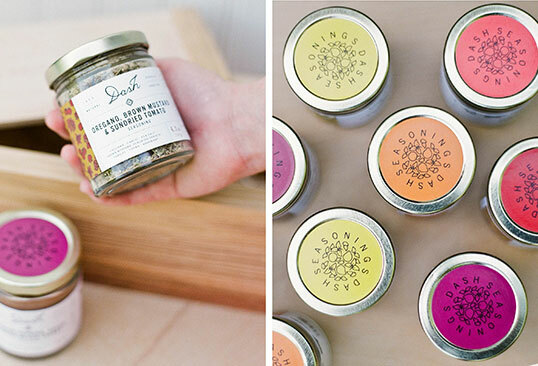 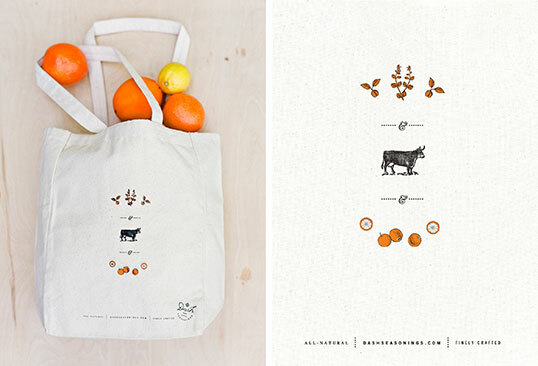 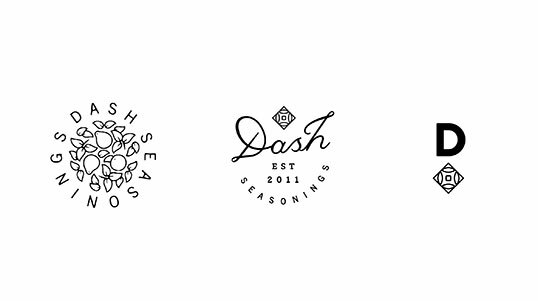 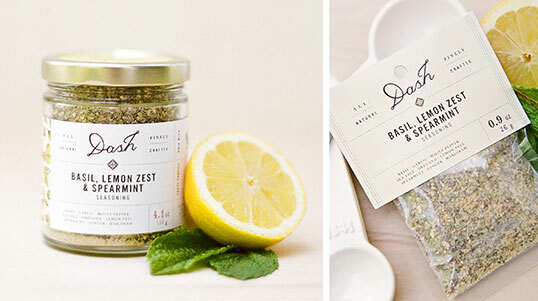 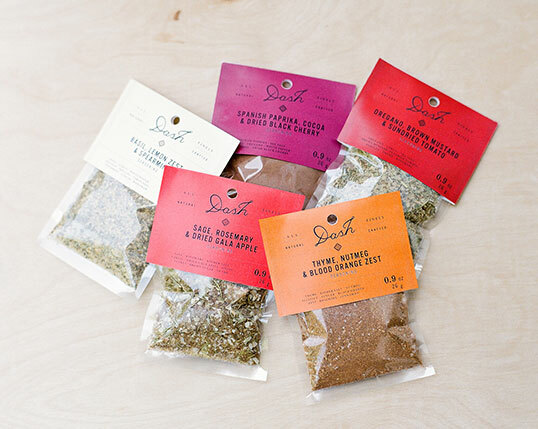 “Dash – based in San Francisco – was founded in 2011 by two chefs who were both disenchanted and unsatisfied by the conventional market for purchase-ready seasonings. 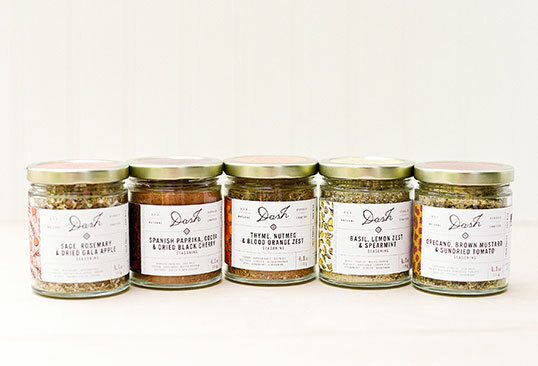 The pair saw a need for seasonings that would bring vibrancy to at-home cooking.Dash seasonings are all-natural, finely crafted blends of dried herbs, spices and fruits that elevate the home meal to gourmet refinement. 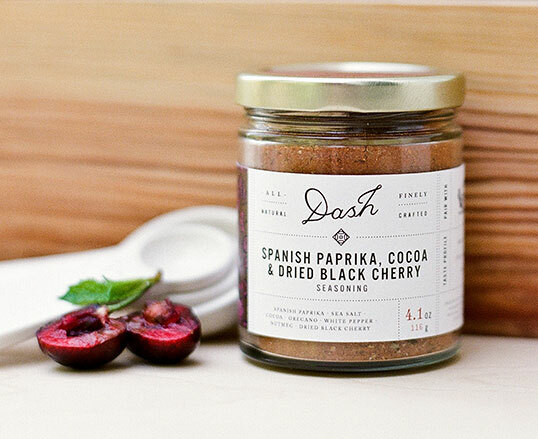 Dash is a luxury brand that appeals to the food connoisseur who values a gourmet at-home meal yet appreciates the convenience of a reliable pre-made blend.